LAST CHANCE TO BUY TICKETS TO HOTTEST EVENT OF 2017! “TOUCHDOWN FOR EDUCATION” IS BACK!! The New Providence Education Foundation (NPEF) is busy gearing up for our THIRD Annual “TOUCHDOWN FOR EDUCATION” which will be held Saturday January 21st at the William Paca Club. This Parent Night Out (which includes a basket raffle, silent auction, Superbowl 50/50, DJ entertainment plus more) raises money to help fund grants for ALL four New Providence schools! “It’s a great cause for our schools that bring together friends and families to support all the teachers and their classrooms,” said Jenn Kowantz, NPEF VP and Co-Chair of the event. “So many of the businesses in New Providence have generously donated to this event and we are incredibly grateful for their support as New Jersey state funding to our schools is less and less each year and the NPEF fills the gaps to make sure our students continue to receive a great education,” added Nicole Bisaccia, Co-VP. This year’s prizes WON’T disappoint! They include tickets to sporting events (Yankees, Knicks, Rangers), daytime talk shows (Kelly, The Chew, Rachel Ray), and Broadway; Disney & Kalahari; golf outings (Canoe Brook); spa treatments (Hair Salon, Skin Deep); plus so much more!! There is something for EVERYONE so buy your tickets TODAY (www.npedfoundation.org) and come out and support YOUR children’s education! Do you ever wonder where your money goes that you generously donate to the New Providence Education Foundation? Last year the NPEF raised a record breaking $77,163.50 and 100% of it went to fund teacher grants for ALL four New Providence Schools! NP Elementary schools, Salt Brook and Allen W. Roberts were awarded a grant for “Transporting Students to New Places via Green Screen Technology” in the amount of $1,253.08 submitted by Julie Spoerl and Kelley Fahey, Educational Technology Specialists. The money immediately went to good use! “We have been using the green screen in both elementary schools since we received it last school year and it’s been exciting! We continue to think of new integrated project ideas all the time. 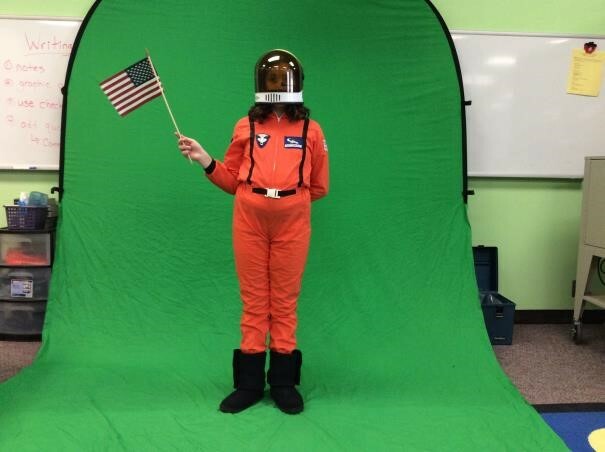 The green screen allows students to take their ideas and knowledge one step further to really see where their imagination can take them!,” said Julie Spoerl. 1st Graders were transported back in time to the days of the Mayflower and also inside pages of their favorite story books. 2nd Graders acted as weather reporters and were transported inside news rooms and used maps saved from the Internet to report on the severe weather storms that they had researched around the world. 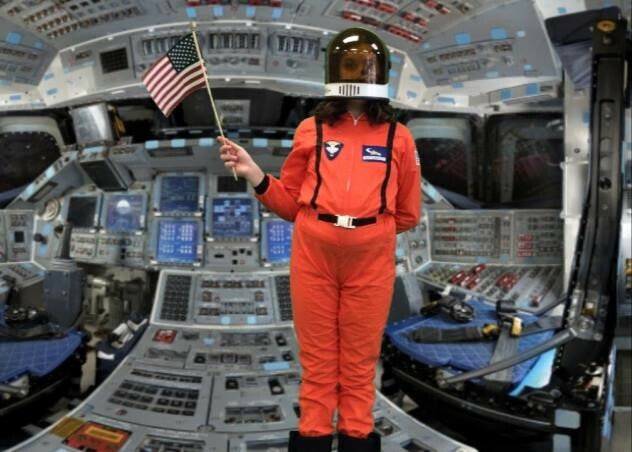 5th graders were transported back in time and/or around the world as they superimposed themselves into authentic backgrounds for their Wax Museum biography reports. 6th graders wrote and recorded puppet shows with all the elements of a story included in the scripts. They were able to put the puppets into authentic backgrounds to make the stories more exciting and professional looking. The NP Middle School implemented a grant submitted by Jonathan Keaney, STEM Department Head, along with Science teachers, Brian Cooper and Michael Giordano: “STEM – The Space Challenge” in the amount of $4,199.40. It was piloted last year and has been an integral part of the revamped Robotics curriculum. 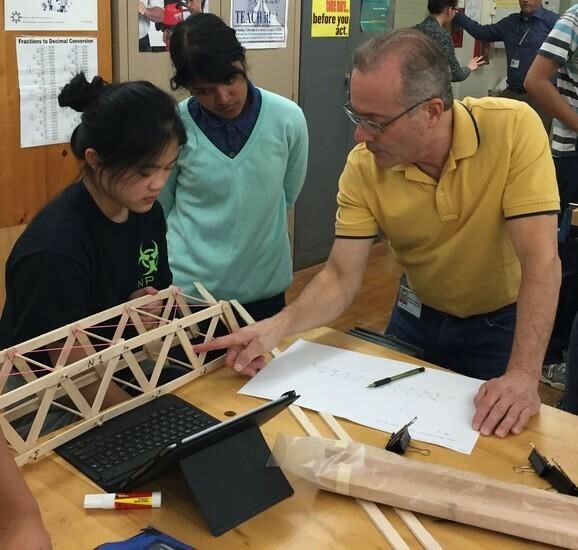 “The opportunities provided by the NPEF grants have been integral in the implementation of the STEM initiative. The grant structure allows teachers to develop programs that expose students to the skills necessary for success in a 21st Century society. Many thanks to the NPEF for their continual support” added Jonathan Keaney. 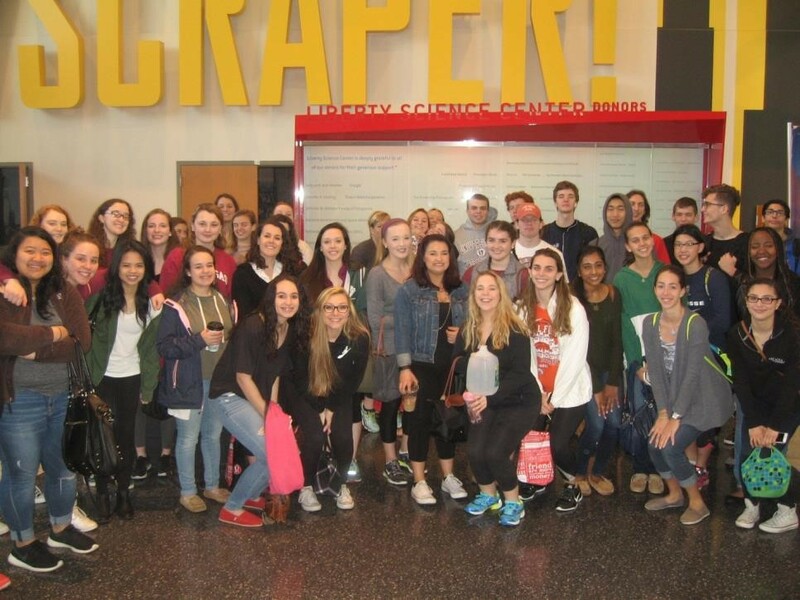 New Providence High school benefited from a grant submitted by Science teacher, Scott Butterfield for a “Cardiac Classroom” at the Liberty Science Center in the amount of $2,228. Human physiology classes at NPHS study the causes of cardiovascular disease and they learn how to identify several symptoms associated with heart disease. Students research the different methods used to diagnose the effects of coronary artery disease. “An emphasis is placed on educating individuals about behaviors that are essential to maintaining cardiovascular health. Pupils are also exposed to several techniques that can be used to treat cardiovascular disease at its various stages. The trip to Liberty Science Center was an opportunity to see one of these surgeries through a live feed from Morristown Memorial Hospital. It gave the students a chance to hold some of the actual equipment used during the procedure. Perhaps most rewarding, the trip allows participants to interact directly with the surgeons,” added Butterfield. These are just a sampling of the grants that the NPEF has funded and is just one of MANY reasons why supporting the NPEF is so important! If you would like to see a complete list of the grants that have been funded, please visit our website at www.npedfoundation.org. On behalf of the New Providence Education Foundation, I would like to thank you for making 2016 another successful year. We could not have achieved this without the hard work of the volunteers who donate their time to the foundation, and the generous financial support from organizations, local businesses, and individuals. Our success is dependent upon this support! The New Providence Education Foundation plays a critical role in funding the educational experience of the students within our school district. By fostering and enhancing the partnerships between our community and the school district, we are able to help support educational programs that would otherwise not be able to be funded through traditional sources. We strive to close the gap between budgetary challenges and the needs of our students in an increasingly competitive world. We remain committed to helping the New Providence School District bring academic excellence to each and every classroom. If you would like to join the NPEF in making a meaningful investment in the students and schools of New Providence this year, please consider making a tax deductible donation by going to our website www.npedfoundation.org. Your gift will help us continue to provide a rewarding educational experience in our schools for many years to come! SAVE THE DATE: THE HARLEM WIZARDS TAKE ON OUR OWN NP TEACHERS MARCH 28TH 2017! The Harlem Wizards will once again be challenging our New Providence Teachers on Tuesday March 28th at the NP High School. Last year, this exciting event for the entire family raised over $5,000 for OUR schools and tickets sold out FAST so check our website and Facebook page so you don’t miss out!